An affable and reliable obstetrician and gynecologist, Dr. Patrick Cleeton looks after the people of Memphis, TN. He currently practices at Saint Francis Women's Care, where he manages a wide array of patient concerns, such as sexual dysfunction, fibroids, ovarian cysts, and vaginal infections. His goal during patient visits is to help women understand their bodily functions and get them to be actively involved in the upkeep of their well-being. 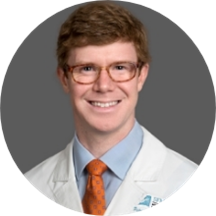 Dr. Cleeton received his bachelor’s degree from the University of Tennessee, Knoxville, followed by a medical degree from the University of Tennessee, Memphis. He further completed a residency in obstetrics and gynecology at the University of Kentucky Medical Center. A knowledgeable provider, he recognizes that it may be difficult for adolescents to deal with the sudden change associated with menarche and gently educates them about these changes. Dr. Cleeton is a zealous researcher, with authorial credits in numerous esteemed publications. He is also a member of many medical societies, including the American College of Obstetricians and Gynecologists and the American Medical Association. Outside of medicine, he enjoys camping, backpacking, photography, and traveling. Nerenz RD, Bell JR, Montes de Oca N, Short J, Mims T, Cleeton PA, Moore JD, & Humphries, RL. 2016. Analytical and Clinical Evaluation of the NOWDiagnostics ADEXUSDx Human Chorionic Gonadotropin Test Using Whole Blood. Journal of Applied Laboratory Medicine, 1(1), 67-76. Morandi A, Solberg LM, Haberman R, Cleeton P, Peterson E, Ely EW & Schnelle J. 2009. Documentation and management of words associated with delirium among elderly patients in post-acute care: A pilot investigation. Journal of the American Medical Director’s Association, 10(5), 330-4. Simmons SF, Cleeton P & Porchak T. 2009. Nursing home residents’ satisfaction with the food service: Relationship to cognitive status. Journal of Gerontology: Psychological Sciences, 64B(3), 324-327.